When we decided to get our dog Chooiee, we truly didn’t know what we were in for. Colten and I had just got married, and instead of having a baby right away….we decided to ease into parenthood by getting a puppy. How hard could a puppy be right??? Boy, were we in for a surprise. Chooiee was a rambunctious pup, who loved peeing everywhere, chewing up carpet, and eating everything but his dog food. I quickly realized how much work was required for a dog, and wasn’t sure if we made the right decision. I am so happy we stuck it out through those first puppy stages with Chooiee, because he has turned into such an amazing dog, and I couldn’t imagine our home without him! Marloe has grown up with him as her pal, and it’s been so cute to see their relationship!!! Having a super furry dog, in rainy Seattle has been a challenge. He comes in from outside smelling like wet dog every time it rains….and it rains here A LOT. I love our sweet cuddly pup, but that doesn’t mean I have to settle on smelly pet odors lingering around in our house & car!!! That’s why I use Febreze AIR Heavy Duty Pet Odor Eliminator to clean smelly pet messes around our home!! Having a pet can have its ups & downs....but a smelly house isn’t a concern anymore! I also love keeping a bottle of Febreze FABRIC Pet Odor Eliminator in the backseat if my car, to use after we take Chooiee on walks or to the park! Febreze eliminates pet odors and keeps my car smelling amazing… no one would ever know our sweet pup was ever in there!!! Q: Are Febreze products safe to use in homes with pets? 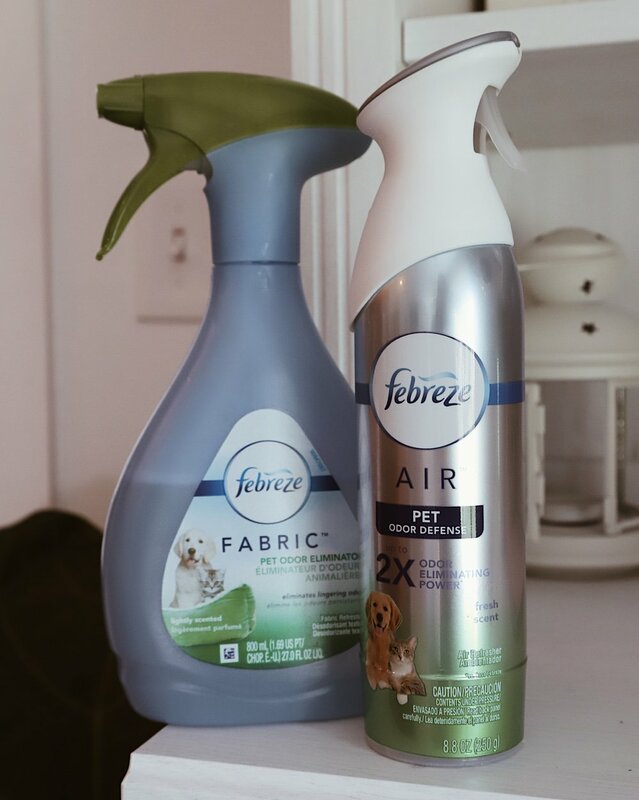 A: Febreze offers pet-specific AIR and FABRIC products to target pet odors and safely and effectively eliminate them with Febreze’s OdorClear Technology. Q: Where are Febreze products sold? 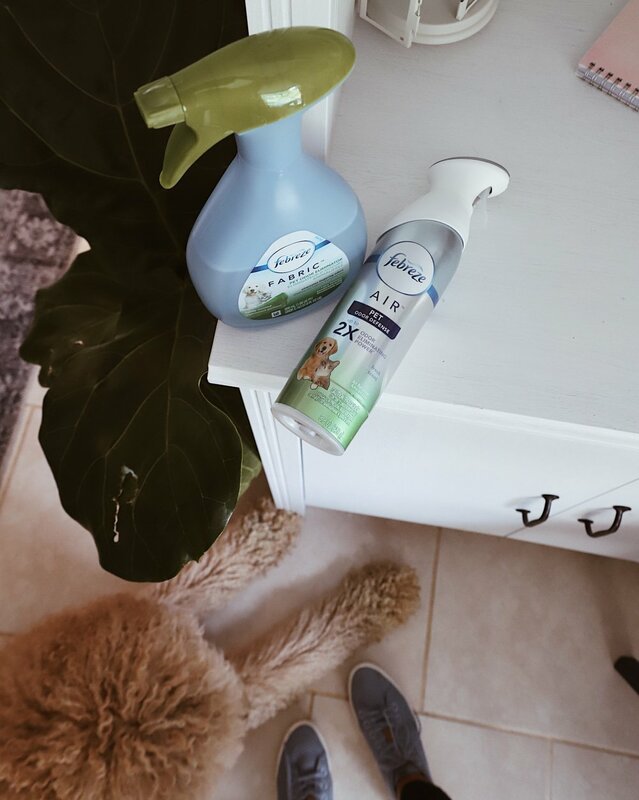 A: The Febreze product line is available at grocery, retail, and mass merchandise stores nationwide including Target, Walmart, Kroger and now PetSmart and Petco. Q: Where can consumers find more information about Febreze products? A: More information on the entire Febreze product line can be found at www.febreze.com or www.facebook.com/febreze. Having a dog can have its ups and downs, but if you’re thinking about taking the plunge to pet parenthood—do it!!! Nothing is better than having a pet best friend & watching them grow alongside your kiddos! Thanks to Febreze you won’t have to worry about those smelly pet messes either!!! Go pick some up from your local Walmart or online at Walmart.com!!! 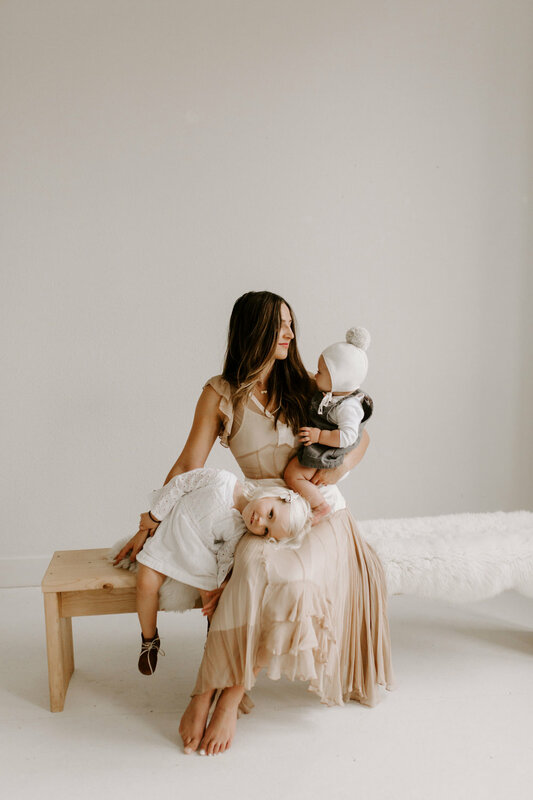 ⁣⁣Marloe and Sorel have extremely sensitive skin, and I have to be super cautious about everything & anything that touches their bodies. That means no perfumes, dyes, or harsh chemicals in ANY of the products we use on them! Marloe has severe Eczema, and even water that is too warm can cause an outbreak on her skin. Back when we first discovered Marloe’s Eczema, we decided to make the switch to more natural products that wouldn’t irritate her sensitive skin. That's why we use Huggies Natural Care wipes!! 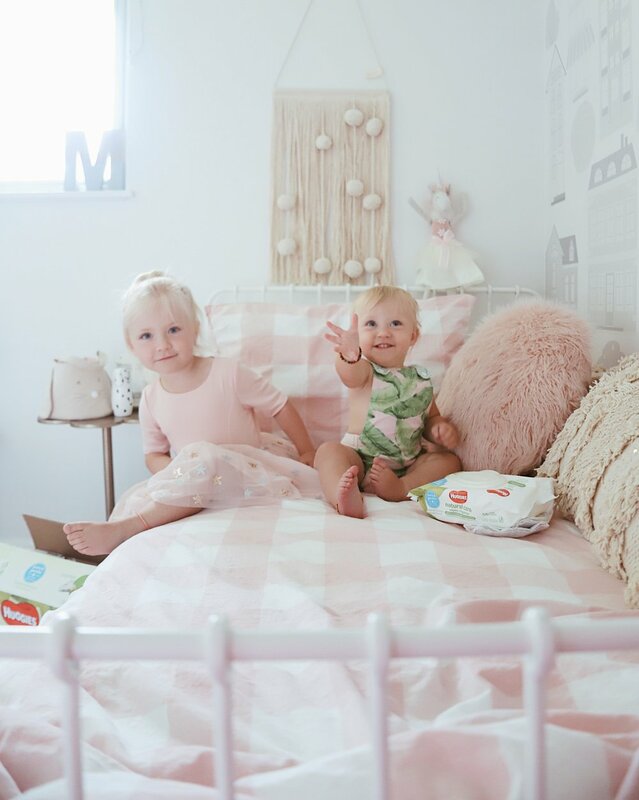 They are the # 1 branded wipe and are made with 99% water so you won’t find any of those harsh & unnecessary chemicals getting on your kiddos! These safe and gentle wipes are hypoallergenic and dermatologically tested , and enriched with aloe and vitamin E to keep your baby's skin healthy!!! 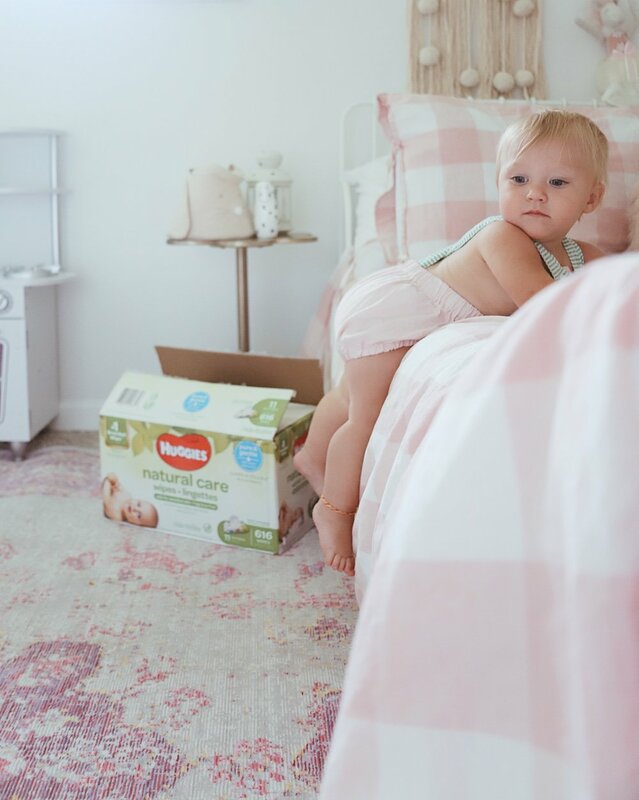 Post sponsored by Huggies Natural Care* All opinions and thoughts are my own. Being a full time stay at home mom, and running my own business stretches me thin every day. I chase two toddlers around all day long, run errands, make appointments, work on my computer, and try to keep a tidy house…..all while being attentive to my kids & husbands needs! J It truly is a balancing act, and I have discovered over the years that I can’t do it all without a little help! I have found some amazing “Mom Hacks” that really make all the difference in my own life. Today I am teaming up with Cascade pure essentials to share my hacks in hope to help other mama’s alleviate the stress in their own lives!! I know I am not the only one that absolutely hates dirty dishes in the sink. It stinks up the house, and if left undone, it begins to stack up…and starts to look like the Leaning Tower of Pisa—dish style. I get major anxiety when the dishes are left in the sink, and I have made it my mission to get them done the second the dishwasher is emptied and ready to be filled again. I just don’t have time to pre-wash the dishes, fill them in the dishwasher, and then have to wash them again after they weren’t completely cleaned properly. I rely on products that work, and work the first time! That is why I switched to Cascade pure essentials dish detergent, and I haven’t looked back since! Cascade pure essentials offers a dependable clean with a simplified formula that meets the most important needs of today’s families – no compromise necessary!!! It has biobased* ingredients and is free of phosphates and chlorine bleach.I call this a “Mom Hack” because dishes are the WORST, and this product makes it way less stressful! Ps. Through March 30, get a $1 off Cascade pure essentials using Cartwheel in the Target App here. I used to have the same phone call with my husband every day, while he was at work. I would ask it him what sounded good for dinner…and he would tell me “ I don’t care, I am good with anything!” UGH. NO HELP, and now I turn to Pinterest and scroll endlessly to find a recipe, only to find a page full of confusing ingredients & instructions. I end up at giving up, and go to the store and buy the same old ingredients for the same old meal that I make every other day! I don’t have time to get to the store most days with my busy schedule…and taking the kiddos in and out of their carseats to run in “quickly” to the store, never ends up being quick at all. I finally decided to try out some Meal delivery kits, and I have been SO HAPPY ever since!!! I no longer have to worry about what to make, and the menu & ingredients are sent straight to our door!!! No more stress, and my family LOVES all the different recipes we have made! MOM WIN FOR SURE!!! Clutter causes anxiety. Plain and simple! Studies have shown this to be true, and yet most of us parents have households full of stuff we don’t need. I realized pretty quickly that I am happier when my house is clean of junk & clutter. I go through my kid’s toys, clothing, and games often…and donate everything we don’t use or need to Goodwill. What works best for me is having a bin in our garage that I fill up with things I want to donate throughout the week. It helps me to have the bin in the garage, so that I don’t end up putting the items back away in my house from it sitting out. I live about 5 minutes from Goodwill, so I take donations almost weekly! I am able to think clearer, and feel less stressed when I am not crowded with things, and when the things we do keep are where they are supposed to be! Hope you try out these “Mom Hacks” to help you live a more stress free life! This post is sponsored by Cascade, all opinions are my own.